Separating from active duty service means starting a new journey and chapter in your life. The future holds exciting opportunities, but making the transition from a military to civilian career may seem overwhelming at times. Fortunately there are many employers who value the experiences and qualities veterans bring to the workforce. To help veterans improve their employment prospects and connect with military-friendly companies, we’ve compiled these online resources for veteran job fairs, job listings, and other career assistance services. The American Legion has a career center on its website dedicated to helping veterans find employers who understand their skills and value. This website is an online job search tool kit that features career fair and job listings, a military skills translator, and other resources for job-seeking veterans. DAV is a non-profit organization that supports veterans and their families in a variety of ways. DAV has offices throughout the country and helps veterans make benefit claims and attend medical appointments. It also hosts veteran job fairs and connects veterans with meaningful employment and career resources. Established by the U.S. Office of Personnel Management, this is the government-wide veterans’ employment website. The site has a wealth of resources designed to help veterans, transitioning service members, and their families find a career with the Federal Government. This source for transitioning troops has helped half a million U.S. veterans find employment to date. On HirePatriots.com, you can search for job boards for careers, as well as temporary work. HireVeterans.com lists job openings at military-friendly companies. Search for jobs by keyword, category, city and state. You can also post your resume so that employers can find you. This veteran-owned and operated company offers free job search support to veterans and their spouses, and produces veteran job fairs across the country. It partners with a network of companies that are committed to hiring veterans. Visit the website to access job listings, a schedule of nationwide veteran career fairs, and tips for resume writing, interviewing, and more. Since 1996, TAOnline.com (Transition Assistance Online) has been helping servicemembers who are looking to transition from active duty, as well as veterans, reservists, guardsman and spouses seeking civilian employment. 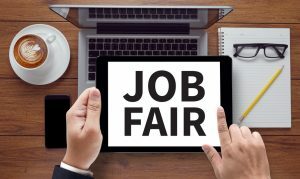 The site features job fair and hiring event listings, career tools, transition guidance, and job openings at military-friendly companies. The Department of Veterans Affairs is dedicated to supporting veterans during their career transitions. It offers many job-seeking tools and career training resources. Veterans Affairs itself is also a great place to grow your career. The VA gives veterans statutory hiring preferences, especially veterans who are disabled. Visit the website to research available medical and non-medical jobs at over 1,400 VA medical facilities throughout the United States and U.S. territories. Upload your resume to this website and connect with recruiters who are looking for your qualifications. Don’t have a resume? Veteran’s Job Exchange offers advice on how to craft one as well as a free critique by industry experts. The site also features a job search tool, career fair listing, and more. Whether you want to find employment or start your own business, Veterans.gov is a great go-to resource that can connect you to online job searches, career exploration assistance, resume building tips, training, and more. Veterans Today Jobs is a comprehensive news and information source for veterans seeking employment. The website features career and labor market news, a job fair calendar, articles about companies that are hiring veterans, and updates on legislation that may affect ex-military personnel. VetJobs is focused on helping all members of the United States military family which includes Officer and enlisted, veterans, career retired, eligible former spouses, widows, and widowers, as well as dependents and DOD civilians. Post your resume, search jobs, view career fair listings, and access an extensive Veterans Reference Library filled with articles to help you be successful in your job search.